This is the Brazil Flor De Ipe brought to you by Evans Brothers Coffee Roasters. 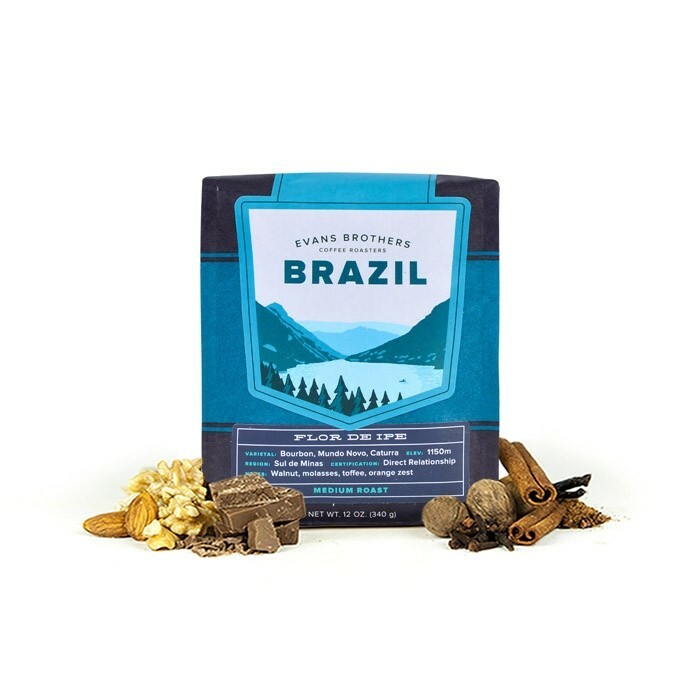 This coffee was sourced from the growing region of Sul de Minas in Brazil and was produced by the Santo Antonio Estates at 1,150 meters. The cup has notes of smooth notes of deep molasses, toffee, and walnuts. Didn’t always enjoy Brazilian coffees, but the last several have been excellent!